The Supervisor of Elections Mohammed Saneem urged the media to be cautious about their reporting and how they report. Commenting on the Fiji Times front page headline yesterday “110 fail to vote”, Mr Saneem said the article was technically correct, but he was “worried” about the way the Fiji Times has sensationalised its reporting. “Of course if you don’t turn up you will not vote,” he said. “I am sure you can report it better, if they don’t turn up, you say ‘don’t turn up’ rather than ‘fail to vote’. Mr Saneem said that the Fijian Elections Office had noticed a lot of voters have not used the 1500 SMS platform to check where they were actually assigned to vote. 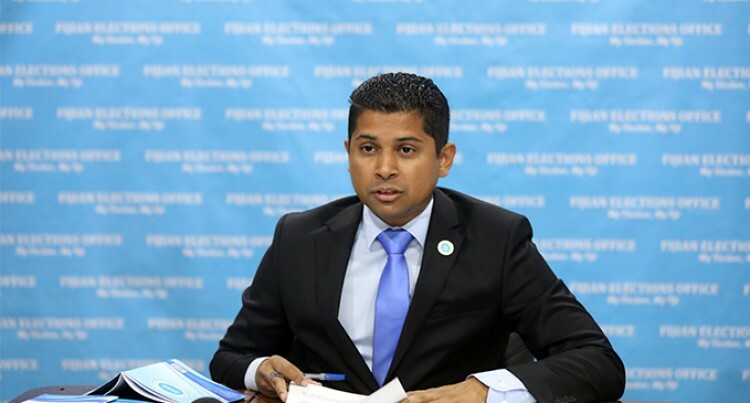 “We are now seeing that a lot more voters are turning out to be disappointed because they are turning up at polling venues and they are not finding their names on the list, simply because they are registered to vote somewhere else,” Mr Saneem said. “Under the Registration of Voters Act, a voter is required to amend his/her details within 21 days of change of such and failure to do so is an offence as well. The 1500 SMS platform has been available to voters since February this year. “So if your name is not on the Voter List that’s because you were not in the village at the time and you have moved into that village. “It appears that the Fiji Times has taken it up as its own agenda to go and look up all the voters who could not turn up and find out information,” he said. Responding to this, Fiji Times editor Fred Wesley said: “It is unfortunate that the Supervisor of Elections has decided to attack the Fiji Times once again. “The 2018 General Election is an important event for the country and we plan to cover every aspect of the polls, including the issues faced by the voters. “It is my hope that the Fijian Elections Office will address issues affecting the voters that we have highlighted in the past few days for the betterment of our electoral processes. “Our journalists are spread across the country to bring our readers a comprehensive coverage of the 2018 national elections,” he said.